On Wednesday 23 May 2018, while on my way home, I decided to take a detour past the Framfield Way shopping parade in the Rodmill district of Eastbourne. This is an area where I have hunted unsuccessfully for aliens many times before, and had no expectation of finding anything of significance on this occasion, when something made my botanical antenna quiver. A compact bushy vetch-like growth below a railing. With pretty, twinned or solitary vetch-like flowers, mainly white but with,on closer examination, “stripey” standard petals. It quickly became apparent that what I was looking at was a well-grown soon to be fruiting plant of Lens culinaris or Lentil. This would seem to be the first Sussex record since Wolley-Dod, although it is hard to believe that if it is in Eastbourne, it has not put in earlier appearances at some of the county’s busier, more bustling urban centres. How did it get here? Possibly from bird seed, or perhaps one of the shops on the parade sells packet lentils for use in the making of soups etc. 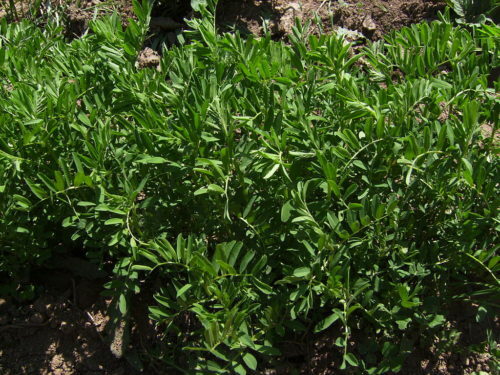 “Vetch-like” was not far wide of the mark, as it was known as Vicia lens for a period, before reverting to the earlier alternatives of Lens esculenta and finally Lens culinaris. The decision was not entirely unscientific as, unlike Vicia species, its calyx teeth are all much longer than the tube, and the long flower stalks (peduncles) also terminate in a curious aristate point or “whisker”. There is a closely related plant, Lens nigricans, which unlike its congener, has not been in cultivation for so long that no one can remember where it came from originally, but is a good native species with a “proper” distribution (the Mediterranean/SW Asia). However its corollas are predominantly pale blue rather than predominantly white, and its stipules are toothed rather than entire. My original intention had been to conclude this short write-up in the following way: “For anyone who would like to see the plant the grid reference is TQ5994300704. I do not think it is in any immediate danger. This is not an area where plants are sprayed or plucked as soon as they lift their heads above the proverbial parapet, or indeed beneath an actual railing. 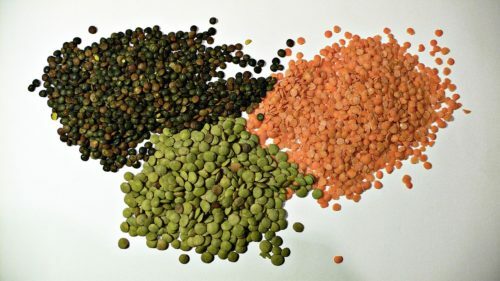 But perhaps I should not tempt fate.” Once tempted, however, fate has an unpleasant knack of lashing out, and the Rodmill Lentil met its demise some time between the evening of 28 and the morning of 30 May. Very sad and I didn’t even grasp my chance to photograph it. I will make sure to bring a pressed piece to the Get-together for any unbelievers!